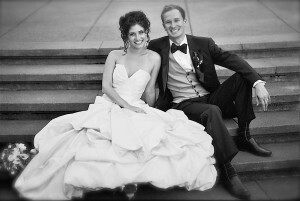 Our job is to work with you as a team to capture the beauty of your wedding day and celebration. Our mission is to be a helpful team player and treat your wedding as something that is very unique as you, not as a photographic wedding package. Customer service & quality is our top priority, so we tailor our services to meet your needs. We don’t charge by the hour. We cover the whole day and our experienced team is able to shoot digitally and on film, giving you the best of both worlds. After the wedding, our promise on quality and teamwork does not expire just because the celebration is over. We will always be here for you, to help with anything from a small reprint for grandma to reprinting your whole wedding album. The photographer is the person with whom you will spend a great deal of time on your wedding day, so you don’t want a moody photographer. Our mission is to give you what you want while using our many years of experience to do that. We make your wedding day as stress free as possible by remaining friendly, helpful, and blending into the surroundings while we shoot. Great photos are essential, but a great bedside manner is critical. We are there as a team, a partner, and a sharp pair of eyes to capture all the moments of your important day.